The Milwaukee Brewing Company approached us in January and asked us to put on a homebrewing contest. We were like, "Sweet!" Then they told us the contest should coincide with the Mid-Winter Brew Fest on February 21st. We were like, "Dude!" Then they told us that the winner would get to make a Big Batch at the Milwaukee Ale House and have a party at its release. We were like, "Sweet!" Well, 161 entries were submitted. And we were like, "Dude!" We roused up 16 BJCP judges and 9 stewards who asked us if this contest was BJCP sanctioned. We were like, "Uh, yeah... BJCPed." They were like, "Sweet!" Those judges and the palates of the Milwaukee Ale House determined Dan Kramarz's French Saison to be the Big Winner. He was like, "Dude!" Congratulations to Big Winner Dan! 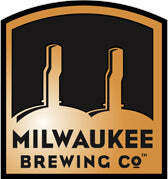 I would like thank: Jim McCabe, Joe McCabe, and Bert Morton at the Milwaukee Brewing Company for all of their support and use of their facilities. Thank you, David Stanton - your help was pivotal! Thank you BJCP judges and stewards for helping fight the good fight. And of course, thank you and hats off to all of you who submitted entries! Brew on, Brewers! Brew on.